It’s almost Halloween, and if you’re a last-minute procrastinator like me, you might’ve forgotten to get a costume. Never fail! This page will be your guide, that is if you’re trying to dress up your dog and/or cat. For you? I’m not so sure. Good luck on that one. If it helps, a cute animal costume might distract others from your crappy homemade pillowcase-ghost or your “I-forgot-and-went-to-Party-City-and-this-was-all-they-had-left” costume. 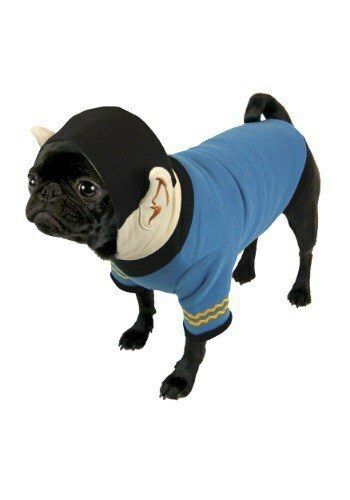 Let your pup “live long and prosper” (yes I know it’s cliché but it’s cute) with this adorable uniform from HalloweenCostumes.com. It’s got the classic Spock pointy ears and warm, comfy cotton. 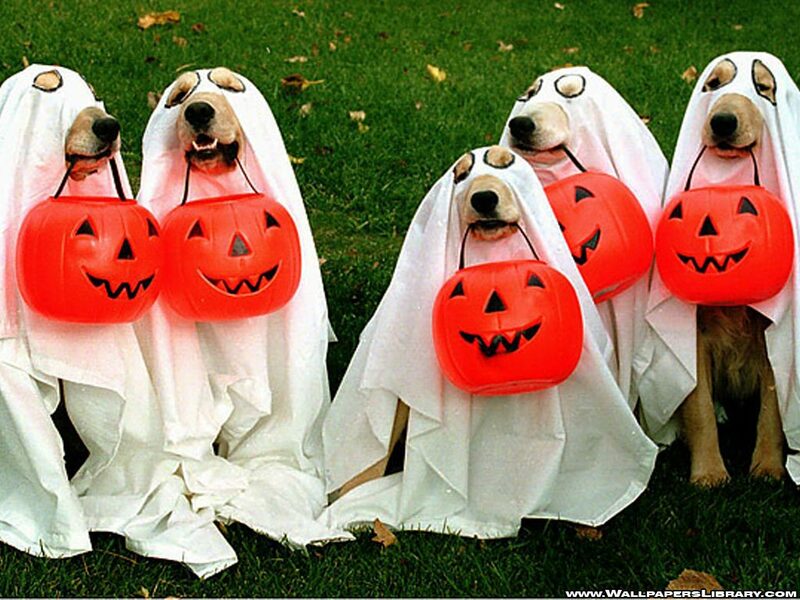 Perfect to take your dog for a spooky walk Halloween night. A lion’s mane is a classic animal costume; it’s easy to put on, it’s comfortable and soft for the animal, and it just looks precious. 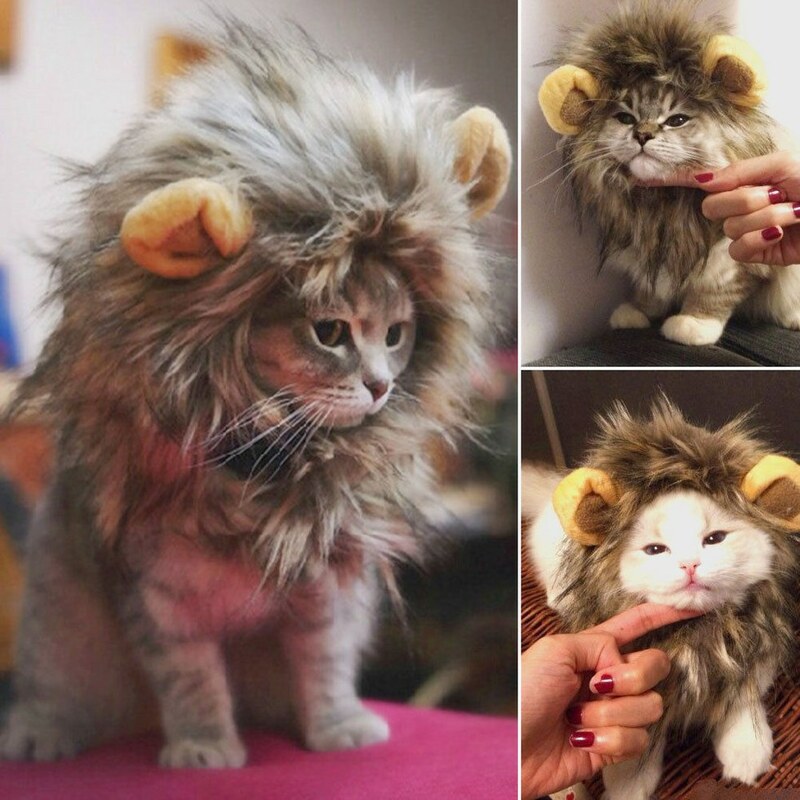 Honestly, the smaller the cat and the bigger the mane, the cuter the costume. This can be purchased on Ebay. Let your kitty feel like their ancestors and let out a big roar; they’re the true king of the jungle. 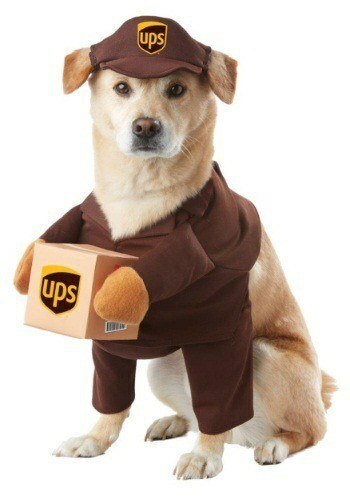 Another gem from HalloweenCostumes.com, this is just about as costume-y as it gets, at least, as much as a pet can wear comfortably. 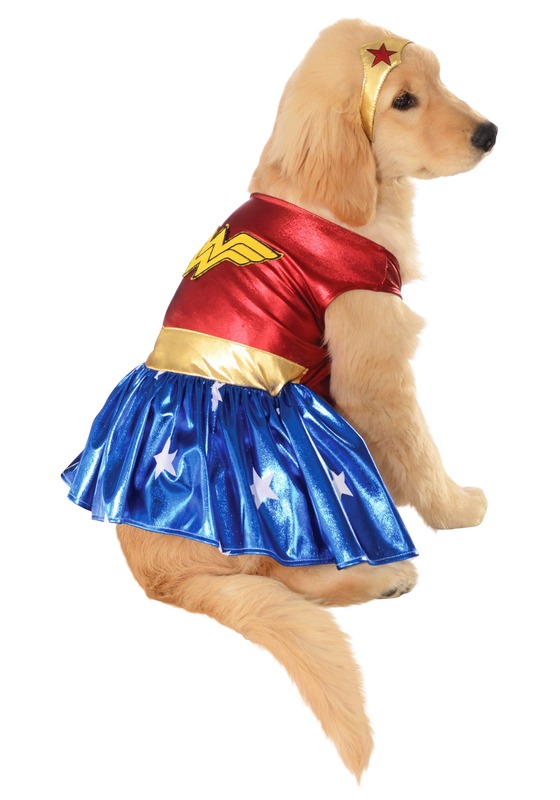 Complete with a one-piece uniform and headband, your pup will be ready to save the day! It’s stretchy and light, so it shouldn’t bug your dog at all. Bonus points if you dress up like Superman. I’m a complete sucker for animal costumes that have fake human arms. It’s just the most hilarious thing, especially when they begin to move as your pet walks. 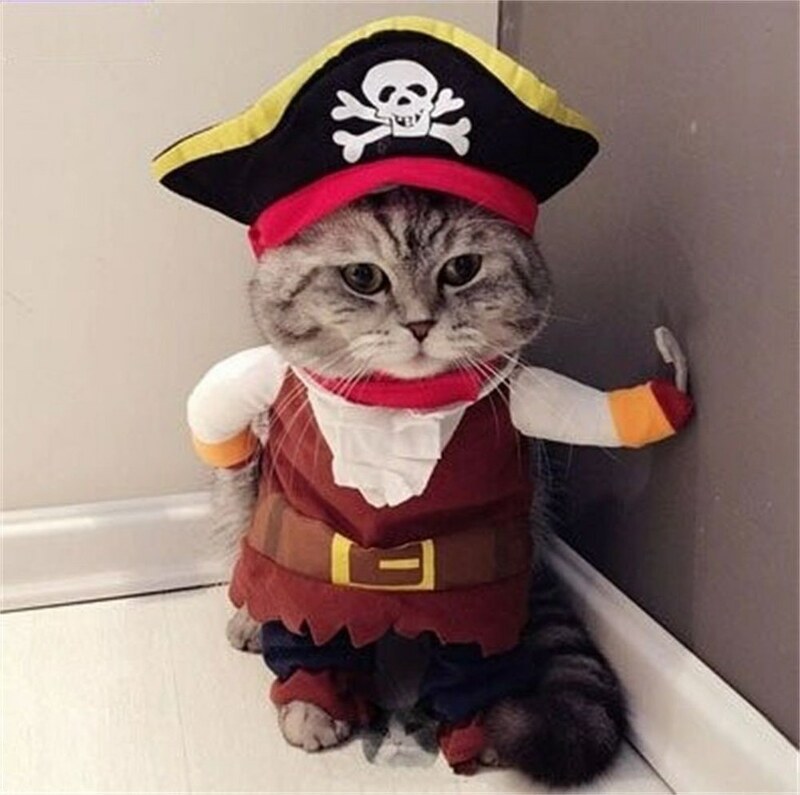 And pirates are a classic Halloween favorite, so why not let your feline friend join in? Cats are definitely smarter than Blackbeard; they’ll lead you to treasure without fail, although it might be catnip and not the chocolate you were hoping for. Only problem? Cat’s phobia of water might inhibit their actual pillaging and plundering. This piece can be found on EBay. OK, you can even tie the basket to its paw. Maybe not the most practical idea, but if you plan on carrying your furry friend like this woman does, it’s an amazing detail. A little dress and a hood will keep your kitty warm, and they’ll be purring all night long, especially if you, ahem, place some treats in the basket? And you can reassure your cat; there’s a no-wolf guarantee. Just yummy snacks and exploring the neighborhood. Unfortunately, this can’t be purchased online, but I’m sure you could pull some old fabric together for your own beautiful rendition. When I was a kid I had a dog that looked like Toto, so I dressed up as Dorothy and took him around. 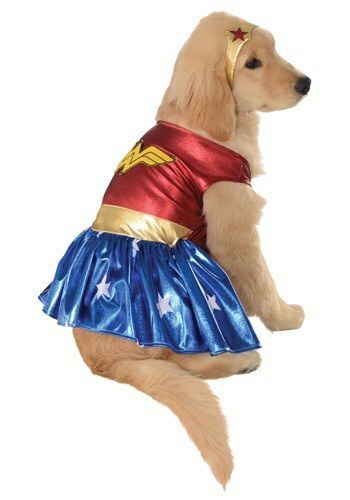 But this pupper is blowing my costume out of the water. I’d follow her down any yellow-brick road. The bow, the frills, and even the sparkly red booties make an adorable costume that’ll be comfortable and manageable for your dog. Perhaps you have a friend who has a Toto-esque dog, and you could make a whole group costume out of it! Purchasable online through HalloweenCostumes.com. 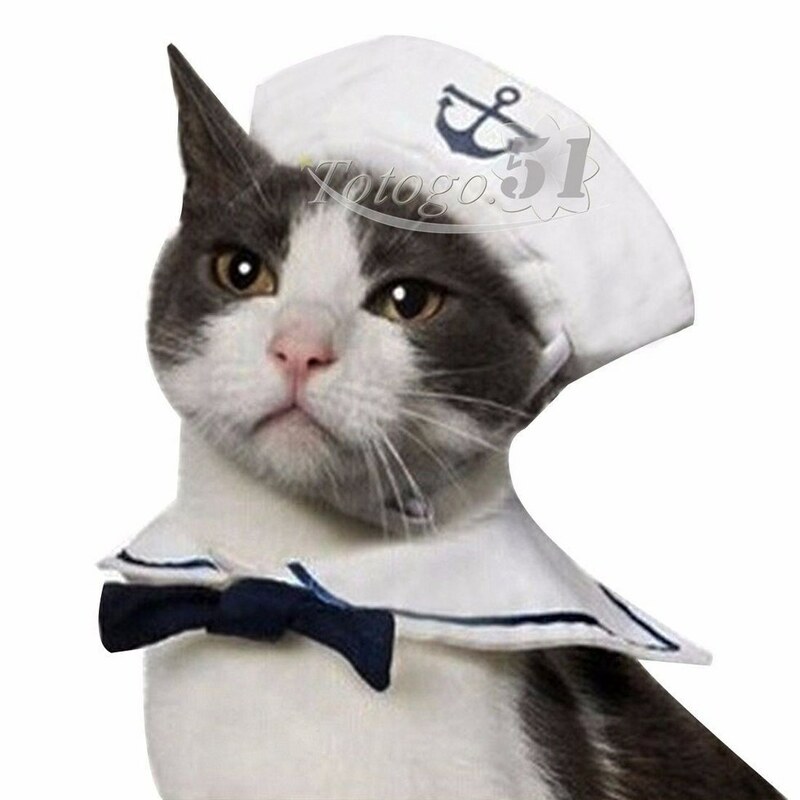 This kitty isn’t just for catching bugs and mice aboard the ship. Nope, they’re First Mate in my book. I’d let them steer my boat. 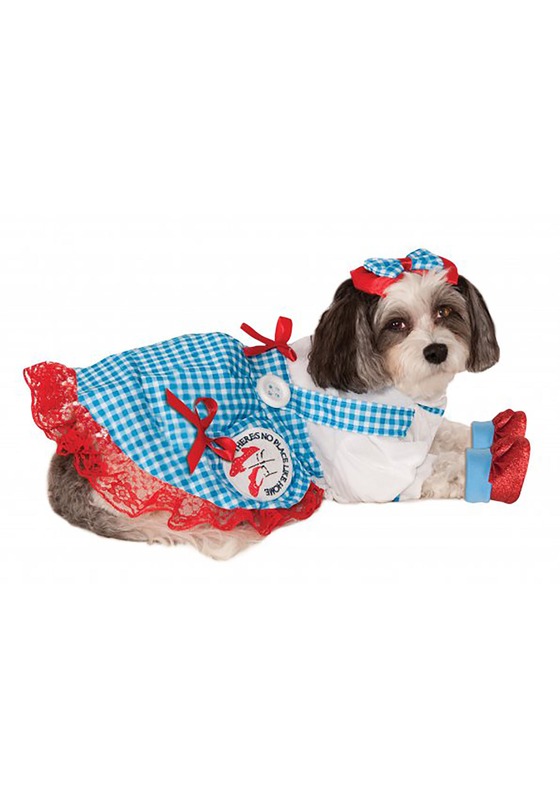 With only a hat and small cape made out of polyester, this is an easier costume that is sure to cause no discomfort to your pet. And for only five dollars, it’s a steal. Get it on Ebay! 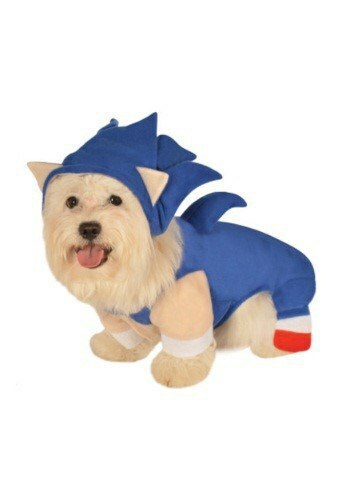 Pay homage to the classic SEGA character this Halloween. With full-body coverage and sleeves, this will protect your pet from any cold or wind. Plus, isn’t it just cute? It’s got the pointy ears, the famous red sneakers, and the crazy spiked head. Bonus points if your dog is actually super fast. Purchasable on HalloweenCostumes.com. This is perfect for any cat who really just doesn’t like to move…which is basically every cat. It’s basically a blanket with a small bodysuit to keep it secure to your cat’s body, and it’s stretchy to give plenty of room to all that fur. Plus it’s just super cute. Nothing better than pizza and cats, so why not put them together? Pure genius. You can get this on Amazon. 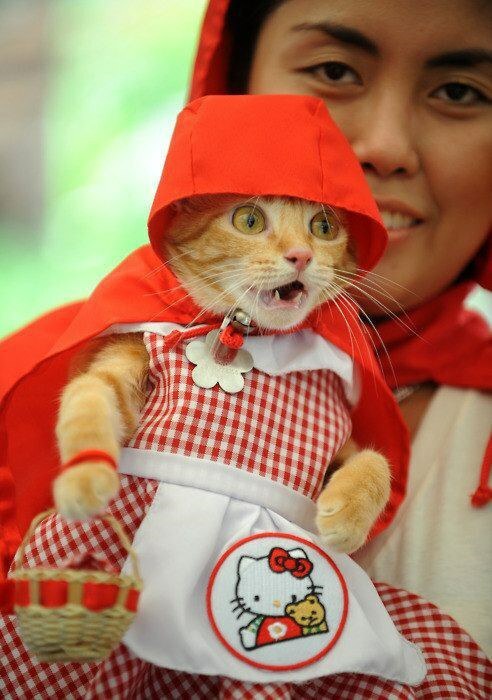 How are you going to dress up your animals for Halloween? Are you going to match or coordinate? How will you celebrate this spook-tacular holiday with your fur-ends? Whatever it is, get to it quickly, because Halloween is just around the corner!